This Apex Legend Characters Hoodie features all of the legends. Apex Legends was developed by EA Games and has recently became very popular. 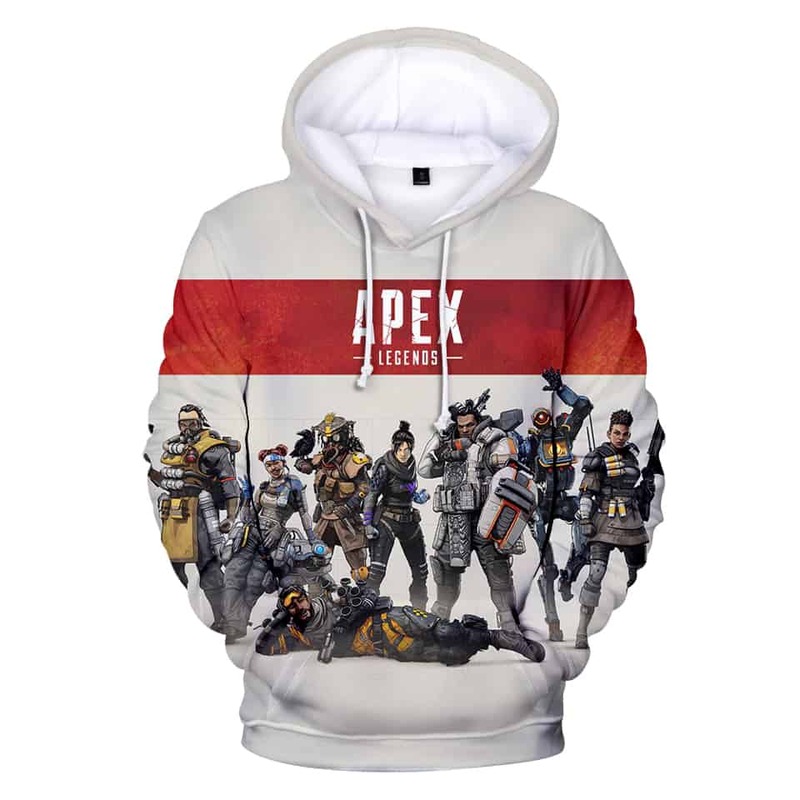 This hoodie features a white backdrop with the game title on top of a red banner, along with all of the Apex Legends below.